When I first started out on this adventure, I never understood why Coach hopping was such drama. Now that I've been with a Coach for nearly two years, I totally get why. The USFS Parent's Guide says it's like a Divorce, and they're pretty much dead-on in terms of emotional attachment. But in squicky terms of decorum and manners, switching Coaches is a gray area. You don't want to hurt feelings, but you know you're going to, so people seem to do all sorts of weird, evasive, and sometimes passive aggressive, things to dodge the problem. Here are some of ways that I've observed Other Parents handling Coaching swaps over the past two years. As a consumer buying a Coaching Product, this Parent isn't liking what she's getting. What they're getting is Second Place. Or last place. Or any place other than First. You get the idea. Never mind that there are a host of other factors at work at any given competition and skating in general, clearly any loss or failure to progress is the Coach's fault. So, obviously a New Coach is needed. Duh. A Vaguely Dissatisfied Mom is in the stands, and she happens to hook up with another Vaguely Dissatisfied Mom. The two of them start talking, and talking, and watching, and talking, and pretty soon Coach is not only responsible for the Skater's poor progress, we're pretty sure she's delivering nuclear material to Iranian malcontents. Neither of them say anything to Coach, because Coach would just ask them to be Drug Mules, probably. Who knows. Better just leave quickly. They haven't scheduled any private lessons in awhile. They used to have a pretty regular schedule, but now things are up in the air. A few weeks go by, they're rarely spotted at all, maybe at Group Lessons on the Off Day. Another few weeks go by, and then suddenly they're spotted with some other Coach. No one knows why, no one asks. We all just move on. Sometimes some skater drops off the radar for awhile. Just gone. Magician Mom has waved her magic minivan and they stopped coming. Coach asks if you've seen them, and you say no. You just assume they've moved or in some cases hope they've been carted off by gypsies. But no, a few weeks later they reappear. Magician Mom opened her magic minivan and Skater reappeared! With a New Coach! It's magic! This one likely comes with a lot of baggage. Hopper goes from Coach to Coach, never sticking with anyone and always thinks of her kid's private skating lessons as "one-offs." Because she's chronically switching, her kids progress really slowly and Hopper will say it's because she hasn't found the "right" coach yet. Hopper really doesn't fit in with the "Bad Ways to Switch Coaches" list, because she's more a "Clueless Parent" category, but she's worth mentioning because it's just as rude. What horrible ways have you seen or heard of when people switch coaches? Because of the way the system works that you can't even get a trial lesson with a perspective new coach before notifying your current/soon to be old coach- there is NO good way to change coaches, IMO. I'm on my third coach, and I've used injury each time. First coach, I was ready to leave- I had grown out of that style of teaching and wanted to focus more on technique and lesson fun. I wanted a clean waltz jump, not axel exercises. I hurt my knees and was off the ice for 6 months. I told him I'd no longer be taking lessons, and came back with a new coach. He was just barely civil with me for about 2 years, though now we are on very good terms (he's even put me on the ice for a competition my coach couldn't attend). I recommend him to parents looking for a "fun" coach. Second coach was a great fit, but a hip injury put me off the ice for 8 months. When I returned, she had stopped coaching. Coach number 3 it is. He's a college student, so I have 1-2 more years with him. I'm quickly running out of options at our rink! Technically, we could be considered a Hopper. Our daughter has had 4 coaches in 8 years of skating. But I do not consider myself a "Clueless Parent." Because of the PSA gag rule, it is very difficult to get information about a new coach, especially a coach at a new rink. It's only after you work with a coach for a while that you discover their strengths and weaknesses and how they connect with your skater. 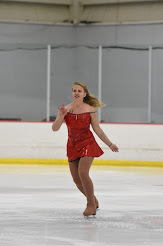 Our daughter is no longer skating synchro and her 3 previous coaches were all involved with synchro. Our daughter finally has a coach interested in her individual skating goals, not just what is best for the synchro team. And, wow, has she progressed in the last 6 months! Also, this coach is great because she isn't involved in club politics nor does she care about the rink gossip. We love that about her. As kids grow, their goals and interests change, and if they want to continue with skating, sometimes you need to make a switch to a coach who is more willing to work with their goals and not be threatened by outside interests. Unfortunately, we've dealt with several coaches who were more concerned about their own goals than our daughter's goals. In roller we get a LOT of interesting coaching changes because we have nothing like your PSA guidelines to outline how to deal with making a switch. I have been with my coach for over 13 years now and wouldn't ever consider switching. I started taking lessons from his wife, who switched me to him after a few months because she thought he would be a better match for my personality (he is much more technical, which I do like). He has asked for me to take single supplementary lessons from a few other coaches on occasion, but other than a few years of Precision (Synchro) skating, I have never had another coach. Then, of course, more commonly a skater is brought up through classes and starting off with a coach who is bringing them along quite nicely when other coach realizes that this skater is getting better! And they want them! So other coach sweet talks the parents, kid makes the switch and stops improving. Then quits entirely. Seen this one happen more times than I would like to recall (like I said, no PSA...). In any case, we have a lot more coach switching because coaches push for it than because parents plot it out. It isn't exactly right, but it does happen. A lot. Though lately in our area there have been so many coaches switching rinks that there have been a lot of skaters switching coaches because they did not want to follow them to the new rink. Yeah... it has been an interesting year. I couldn't stand my rink at the time another second and decided to switch rinks one day. I abruptly told my coach I was leaving. I gave her a month's worth of fees in compensation for the no notice, which I think was fair. Mostly my coaches leave me. Retirement, rink closes, injury, moving to another state. Hi I am a figure skating coach- I have had each one of these happen to me over the years. And I have also dropped a parent. I say parent because it was not the kids fault. I just couldn't listen to the parent complain if any of my other skaters placed better than her daughter. My advice to be honest with your coach. Honest right from the start. Talk to your coach when your skater or you have concerns. Don't wait because your coach may have many talents but mind reading is not one of them. Most coach's have each skater's best interest at heart. We want all of our skaters to learn, pass tests, and skate their best. It is a hard job. Round #5 is this Sunday!